For as long as many can remember, BlackBerry Messenger has been known by the abbreviation BBM. 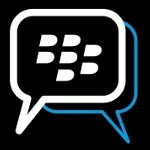 Now, a broadcasting trade body known as BBM Canada, is suing RIM for using the BBM abbreviation. RIM has already responded to the suit by saying that it cannot be allowed to continue because both firms are in different industries. RIM told Canadian paper The Globe and Mail that "The services associated with RIM’s BBM offering clearly do not overlap with BBM Canada’s services and the two marks are therefore eligible to co-exist under Canadian trademark law." BBM Canada dates back to 1944 and sells data analysis to broadcasters. The company says its employees are always confused with RIM employees because of the use of the BBM abbreviation for BlackBerry Messenger. And because the company uses smartphone apps to collect some of its data, BBM Canada says that its business is not that far off from RIM's business. RIM, which does promote its messenger service as BBM, attempted to get a trademark for the BBM abbreviation in October 2009. BBM Canada says that the smartphone manufacturer was rejected. And perhaps this wouldn't seem like such a big deal if it weren't for the fact that the BlackBerry Messenger service is one of the few features on BlackBerry phones that keeps certain users from jumping to the competition like Android or the Apple iPhone. RIM has even allowed developers to integrate the free service with some apps. This is the second legal action taken against RIM for three letters of the alphabet. Recently, RIM had to change the name of its new OS from BBX to BlackBerry 10 as the BBX name was being used by Basis International and the latter's complaint was upheld in court. If you're Mike Lazaridis or Jim Balsillie, the ball can't fall in Times Square fast enough. Another lawsuit has been filed from RIM shareholders demanding that the current co-CEO's of RIM, Tweedledee and Tweedledum infringe on Disney copyrights and the plaintiff demands that the current leadership change their name to White Unicorn and the Black Knight with minor flesh wound. Just seems like a ploy to get free advertising, why would you confuse BBM employees as being Blackberry Messenger Employees, only the uninitiated would think like that. BBM is a RIM product and if you saw BBM without the bespoke RIM logo you wouldn't think anything, but you would ask what does that BBM stand for and then walk off when it has nothing to do with Blackberry Messenger or RIM. Sounds like the World Wildlife Fund/WWF scandal, I never even heard of the World Wildlife Fund before that whole debacle became newsworthy, that goes to show you a lot of these guys sit around and wait for the right time to cash in on the popularity and then the WWE(formerly WWF) was riding high as it was the only big name wrestling entertainment in the business. Trolls is what these companies are, not like they didn't hear of these acronyms being used. Ahh have to love smart guys, the suits love to make money. The difference being the WWF/WWE is a well run, looking to the future organization that could recover from that name change. RIM...... well, isn't. Why is it after many years of having BBM they are finally worried about it? RIM has asked the court to dismiss the lawsuit. If the court doesn't dismiss the lawsuit, RIM might want to start thinking about a new name.... It seems to never end for RIM. By far the worst year for RIM. Oh well, it was time. Their everything are so out-dated. Come on RIM, you can do better. Hopefully..